A large cloisonné enamel vase of baluster shape, the sides rising to the shoulder from a small circular base, and going in towards the cup-shaped mouth terminating in a flat, silver rim. 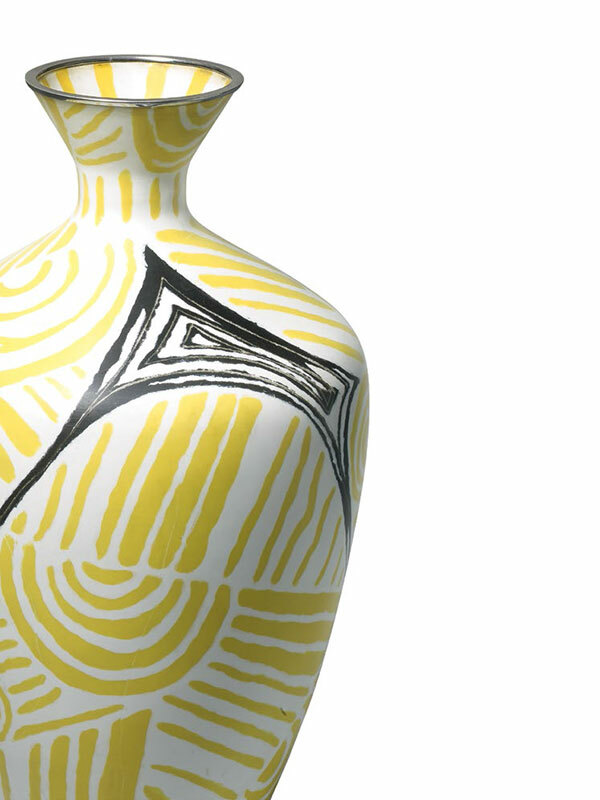 The exterior is covered in a pattern of diagonal stripes and whorls in bright yellow and black enamel. The interior of the mouth is similarly decorated. The vase is contained within the original tomobako, inscribed Shippoyaki kabin, Daikichi-saku (Cloisonné Flower Vessel, Made by Daikichi). This striking cloisonné vase was made at the Ohta Cloisonné workshop, based in Aichi Prefecture. Its shop trade name is known as Daikichi. 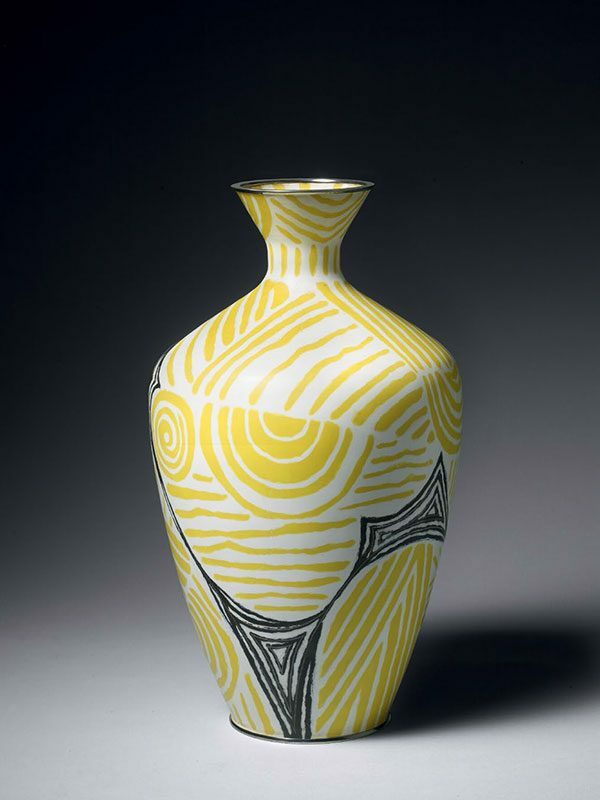 Both the form and the completely abstract pattern on this vase are highly unusual. Ohta Saneemon set up the cloisonné workshop in Meiji 20 (1887), in Ama City, Aichi prefecture. His son, known as Daikichi II (Ohta Tamekazu), succeeded in Taisho 10 (1921). The latter’s son, known as Daikichi III (Ohta Masao), succeeded in Showa 25 (1950). Stylistically, the vase can be dated c. 1940-1950, so the design is likely to have been made by either Daikichi II or III.